A joint inquiry for the United Nations and global watchdog the Organisation for the Prohibition of Chemical Weapons (OPCW) had previously identified only military units and did not name any commanders or officials, reports Reuters. Now a list has been produced of individuals whom the investigators have linked to a series of chlorine bomb attacks in 2014-15 – including Assad, his younger brother Maher and other high-ranking figures – indicating the decision to use toxic weapons came from the very top, according to a source familiar with the inquiry. The Assads could not be reached for comment but a Syrian government official said accusations that government forces had used chemical weapons had “no basis in truth”. The government has repeatedly denied using such weapons during the civil war, which is almost six years old, saying all the attacks highlighted by the inquiry were the work of rebels or the Islamic State militant group. The list, which has been seen by Reuters but has not been made public, was based on a combination of evidence compiled by the U.N.-OPCW team in Syria and information from Western and regional intelligence agencies, according to the source, who declined to be identified due to the sensitivity of the issue. The U.N.-OPCW inquiry – known as the Joint Investigative Mechanism – is led by a panel of three independent experts, supported by a team of technical and administrative staff. It is mandated by the U.N. Security Council to identify individuals and organizations responsible for chemical attacks in Syria. “There are no … identification of individuals being considered at this time,” she told Reuters by email. While the inquiry has no judicial powers, any naming of suspects could lead to their prosecution. Syria is not a member of the International Criminal Court, but alleged war crimes could be referred to the court by the Security Council – although splits among global powers over the war make this a distant prospect at present. The list could form the basis for the inquiry team’s investigations this year, according to the source. It is unclear whether the United Nations or OPCW will publish the list separately. The list identifies 15 people “to be scrutinized in relation to use of CW (chemical weapons) by Syrian Arab Republic Armed Forces in 2014 and 2015”. It does not specify what role they are suspected of playing, but lists their titles. It is split into three sections. The first, titled “Inner Circle President” lists six people including Assad, his brother who commands the elite 4th Armoured Division, the defense minister and the head of military intelligence. The third part of the list – “Other relevant Senior Mil Personnel” – names two colonels and two major-generals. “The decisions would be made at the highest levels initially and then delegated down. Hence the first use would need to be authorized by Assad,” said de Bretton-Gordon, a former commander of British and NATO chemical and biological defense divisions who frequently visits Syria for professional consultancy work. The Syrian government, which denied its forces were behind the Ghouta attack, also agreed to hand over its declared stockpile of 1,300 tonnes of toxic weaponry and dismantle its chemical weapons program under international supervision. The October report identified Syria’s 22nd Air Force Division and 63rd Helicopter Brigade as having dropped chlorine bombs and said people “with effective control in the military units … must be held accountable”. 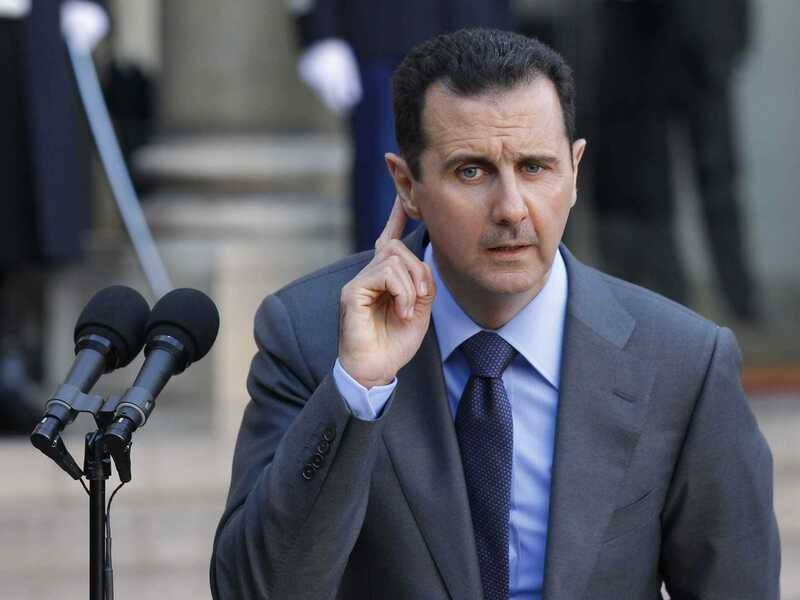 Washington on Thursday blacklisted 18 senior Syrian officials based on the U.N.-OPCW inquiry’s October report – some of whom also appear on the list seen by but not Assad or his brother. The issue of chemical weapons use in Syria has become a deeply political one, and the U.N.-OPCW inquiry’s allegations of chlorine bomb attacks by government forces have split the U.N. Security Council’s veto-wielding members. The United States, Britain and France have called for sanctions against Syria, while Assad’s ally Russia has said the evidence presented is insufficient to justify such measures.